Long before there were separate countries, civilizations have been the birthplace of extraordinary persons. These have been the men and women who have helped shape history and the world in which we live today. Nearly every nation including Perú has a rich history and culture that has been shaped by numerous extraordinary men and women who have risen above the crowd with their intelligence and wisdom. But intelligence and wisdom alone are not enough. They have gone on beyond that with great insurmountable bravery. This has often put not only themselves but their families, indeed even whole villages at mortal risk. but with their courage in the face of sometimes overwhelming adversary. El Perú too has been shaped in both history and culture by many extraordinary individuals who helped straighten the course of their country. These are the individuals with the courage an foresight that people today take for granted. While you may not have heard of the following four great Peruvians before, each of them has made an enduring impact on their country, an impact that is still palpable today. Juan Martín de Porres Velázquez was born in 1579. He was the illegitimate son of a Spanish nobleman as well as being a freed slave. El señor de Porres was born in an era when people of mixed race had few rights, indeed they were frequently treated as pariahs. 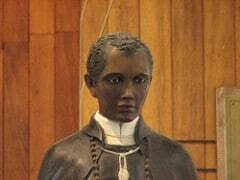 Despite this, de Porres was destined to leave an extraordinary legacy that belied his low social status and would eventually see him canonized as an official Catholic saint of racial harmony. Despite the many laws that prevented people of African and Indian descent from becoming full members of religious orders, de Porres received permission to take the vows of a member of the Dominican Order. Following this time he devoted his life to taking care of the sick even going to far as to help transport victims of an epidemic to his convent against orders of his superiors he founded a home for orphaned and abandoned children and collected vast sums of money for the indigent by constantly begins for alms. Even before his death, de Porres had gained such a reputation that people of el Perú regarded him as a saint although his official canonization didn’t occur unto 1962. José Gabriel Túpac Amaru, aka Túpac Amaru II became one of the most important leaders of the indigenous Peruvians during the Spanish rule. Although Amaru had been educated in Europe and held several positions within the Spanish—led government, he was also the proud descendant of the last Inca ruler, also named Túpac, hence the name Túpac Amaru II. He used his position as Marquis of Oropesa and governor of a province to campaign for greater rights for the native Peruvian peoples. Failing in his attempt to gain support, he organized and led the first major native uprising against the colonial government in 1980. Sadly, he and his family were ultimately executed. 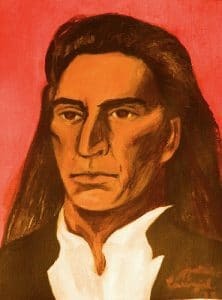 However, despite the fact that Amaru’s rebellion was unsuccessful it helped to galvanize the native and mestizo populations of el Perú and served am a national inspiration for the eventual wars of liberation that would eventually unseat el Peru’s Spanish rulers. One of most important figures in the history of el Perú is José de San Martín — José Francisco de San Martín y Matorras — was not actually born in el Perú. Although born in Argentina, Martín was one of the principle leaders who together with Simón Bolívar formed part of the independence movement that brought an end to Spanish rule in Argentina, el Perú, Chile and Colombia. They brought freedom to other South American states as well. José Martín, although he only became involved in the affairs of el Perú as part of a larger quest. i.e. 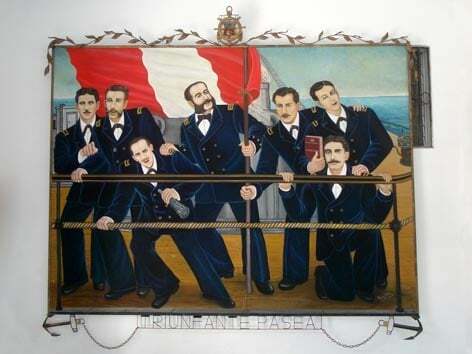 to rid the entire continent of European rule, it was José Martín who declared the Peruvian Independence on July 28, 1821. In addition, he became known as the “Protector of el Perú” during the early days of the Republic. José Martín, leader of the government and military, suddenly resigned after serving during the earliest days of the Republic. Excluding himself from further political affairs in el Perú, he retired in France. 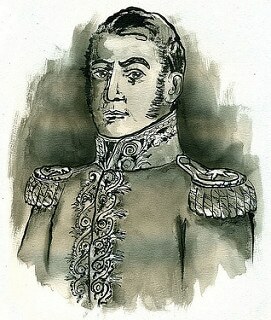 Ramón Castilla y Marquesada served as a soldier in the wars for independence that let to the creation of the independent state of el Perú. He would further serve four separate terms as the country’s president. Castilla first came to power and was integral in ending as timer of war and civil unrest. Although he first came to power in el Perú as the result of a coup organized with fellow General Domingo Nieto in 1844 (having assumed the position after the death of Nieto), Castilla stepped down less than a year into his first term restoring the constitutionally appointed president. Later he would become the first president elected by direct election the following year during this time he fought for the abolition of slavery and helped institute a new constitution . This latter would remain in effect until 1920.